FACTS are stubborn. It is trite to state that the story of this country cannot be written without according veneration to the name of Morgan Richard Tsvangirai. For there is no debate he deserves his own space in the national narrative for the significant role he has played in shaping the country’s post-liberation politics. Fate is a capricious woman and the whole journey was never planned, as he often said. It was mother fate that often tended to throw him to the deep end. As he always told me, it all started during midnight conversations at the national labour federation’s elective congress in Gweru in 1988. 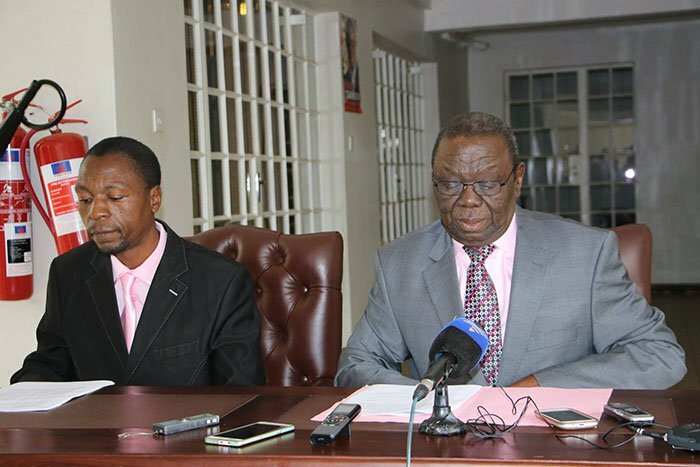 He did not even want to run for office and most delegates at that Congress, including Tsvangirai himself, had tipped veteran journalist Charles Chikerema to clinch the powerful post of secretary-general of the Zimbabwe Congress of Trade Unions. 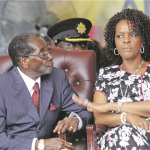 The post had once been held by Albert Mugabe, the former President’s brother and everyone at the congress was convinced that Chikerema, yet another relative of Mugabe, would ascend to the powerful post. But the conversations on that ominous night on the eve of the elections in Gweru expressed doubts on whether Chikerema would be able to wean off the ZCTU from the firm clutches of government where previous leaders had unwittingly left the ZCTU. 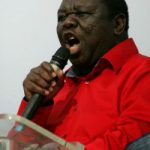 President Tsvangirai, then a leader of the mineworkers’ union, eventually agreed to run after fellow delegates had made persuasive arguments about the unsuitability of Chikerema. The delegates had their misgivings on whether the veteran scribe would give the ZCTU its deserved autonomy from government control. 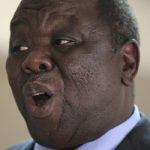 It was almost morning when Morgan Tsvangirai finally agreed to run for the post of secretary-general, which he won a few hours later, setting the stage for a 30-year tenure in the national limelight as a doyen of the country’s democratic struggle. When I heard the news at exactly 1737hours on Wednesday, I mused over this journey that started in 1988 had painfully ended 30 years later, only 24 days before his 66th birthday. It was a journey in which he was prejudiced of the Presidency following his watershed victory in the elections held on 29 March 2008. Given his mammoth love for the country and its people, he humbled himself and settled for the junior post of Prime Minister. He was to rescue the country from a debilitating crisis and poise the nation for stability, growth and development in a mere four years as premier of Zimbabwe. Driving a stability and growth agenda through the Government Work Programme, Tsvangirai showed his competence on the wheel of government during his four-year stint in government. As the nation stood on the cusp of a crucial election in which he was expected to win resoundingly, mother Fate again intervened. This time, cruel fate took him to the grave, leaving a despondent nation shell shocked. He was a man I knew so well. To me, he was a father, a man I served for over a decade. We travelled the world and across the country together. We spent many times talking about the country and the people he so much loved; Tokyo, Washington, London, Canberra, Beijing, Paris, Berlin, the Swiss Alps in Davos and many other world capitals, I had the privilege of accompanying him as his spokesperson. 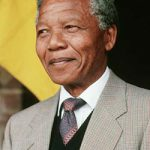 During those trips across the globe, he often charmed the world and gave revered speeches to bemused audiences, especially during his stint as Prime Minister of Zimbabwe and leader of the country’s opposition. In the country, we travelled together from Plumtree to Chipinge, from Nyanga to Chirundu and from Mt. Darwin to Binga down in the Zambezi escarpment as he engaged in his favourite pastime -meeting ordinary people and getting their input into how the democratic struggle ought to be prosecuted. The last time was the period between January and February 2017 when we spent one-and-half months traversing the country and getting the people’s feedback on the MDC Congress resolution to enter into a formidable political alliance with other players. We sat together until late in the night after that tour as we penned his piece after that highly informing jaunt. The piece, in keeping with his natural disposition as a listening leader, was entitled ‘I heard You’. He was a boss any rational person could wish for; the only boss I know who could afford to attend funerals of the relatives of his underlings, as he did when he came to my rural home in Domboshava for the burial of my grandmother, Martha Tamborenyoka Gombera. He would wait to give an ear to everyone, whatever their station in life. He often had tiffs with his security personnel, whom he always wanted to relax their tight protocols and allow ordinary people to shake his hand and speak to him. Party members and ordinary villagers would come from Mt. Darwin and be granted an ear at his residence whether in Strathaven or in Highlands; even against the advice of security personnel who would often want to refer the party members to their respective provincial leaders. Not with Tsvangirai, who would insist he wanted to get the untainted, raw information from ordinary supporters, undiluted by the strictures of officialdom and bureaucracy. That was vintage Tsvangirai. Always a man of the people. His death came as a shock … especially against the background of my last two moments with him. The first of our last two personal and direct engagements was on Friday, 5 January 2018 after his meeting with President Emmerson Mnangagwa. It was at that meeting at his residence that he intimated to me the details of his discussion with Mnangagwa. At the same meeting, he told me to tell the world that he was about to leave the country and he would leave Vice President Nelson Chamisa as acting President and he asked me to call Chamisa. After their brief indaba with VP Chamisa, he told me to communicate to the world that VP Hon. Engineer Mudzuri would be acting President. Present in the meeting that Friday afternoon was President Tsvangirai himself, his wife Elizabeth, his brother Manaseh Tsvangirai and his uncle, Sekuru Zvaipa. It is ironic that after that communication, VP Khupe took issue with me, saying that as the elected VP, she should always act in the President’s absence. I referred her queries to the President, under whose authority and direction I had done the communication. Ironically, a month later, VP Mudzuri was to dispute my communication of the President’s directive that VP Chamisa was acting President. My last face-to-face meeting with my boss was on Monday, 8 January 2018, the day before he left for South Africa, never to come back alive. He had asked me to draft a belated New Year’s message to the people of Zimbabwe, in which he was hinting at his imminent retirement. He told me that it was important to signal to the world that he would not hold the nation at ransom; that he would not hold on to the party presidency if his doctors told him his health would not permit him to withstand a rigorous campaign. He perused his script and certified that I distribute it, only for the same script to cause a major furore in the party, with some misguided elements lying that the statement did not have president Tsvangirai’s blessings. It is important to state that present at the foyer of his Highlands residence as he authenticated that statement, hinting at a possible retirement was his brother Manaseh and Jameson Timba, who later arrived as the President and I were finishing validating his script, in which he hinted at handing over the baton to others. It was a possibility which he said he would only confirm upon his return. Sadly, he will return with his body lying in the soft requiem of death; the inimitable raspy and raucous laughter never to be heard again at Harvest House. Yes, he left for the infirmary in South Africa on Tuesday, 9 January 2018, never to return alive to the country and the people he loved so much. He regularly phoned and at one point asked me to come over to South Africa so we could discuss a lot of issues, including the book that I was assisting him to write – Service and Sacrifice. It is a book that I pledge to complete in the next few months in honour of this loving man who had so much faith and trust in me. I told then acting president Mudzuri that president Tsvangirai wanted me in South Africa. The then acting president promised to facilitate my trip before logistical impediments were thrown in the way to ensure that the trip never materialized. President Tsvangirai called to express his regrets that I had failed to turn up in South Africa. On Wednesday, 7 February 2018, he called again using a hospital staffer’s cellphone and told me that he had learnt that the other party leaders in the presidium had left the country for a meeting in Cape Town, leaving only VP Chamisa. He asked me to communicate that VP Chamisa, the only VP in the country then, would be acting President until he (president Tsvangirai) returned from South Africa. In any case, this is the Presidency we are talking about, a whole institution which has its own unique ways of operation in which the whims of an individual staffer cannot just hold sway. Even the chief of staff, Hon. Sessel Zvidzai and the party’s head of security and intelligence, Hon. Giles Mutsekwa can testify to the veracity of the President’s position when it comes to who was acting President at the time of his death. President Tsvangirai told me from South Africa that his health was slowly failing him and that the thrust of the book – Service and Sacrifice – should change into a valediction and not to remain as a simple story of the party’s capacity to deliver to the people as shown during the inclusive government. I felt tears swelling in my eyes before assuring him that he would be fine and he would rejoin us in the struggle soon. Alas, that was never to be. He was a close friend who would at times would call me and my wife to offer advice and to assure me that he took cognizance of my loyalty and committed service to himself. He once invited me and my wife to his house and he shared many of his thoughts in a convivial atmosphere. Present in that meeting in June 2017 was my friend, Sydney Masamvu. As the party and the nation mourns, I cannot help but reminisce on the many moments we shared; the many thoughts he intimated to me on controversial subjects such as family, politics, succession and his vision for the future. In our last conversation, he told me he had instructed medical staff to keep me informed about his health and that is how I kept in contact with staff at the infirmary until I received the tragic message that he had passed on. In this his final moment, I urge the leadership to give this man a befitting send-off. I sincerely hope that this needless cockpit stampede will be put in abeyance, at least in the veneration of this doyen of our struggle. His will remain a story of fortitude and tenacity and there is no doubt that he has left ineradicable footprints on the sands of history. Thanks for the memories, Pakuru. Go well, gallant son of Zimbabwe. 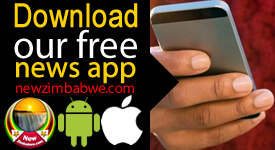 Luke Tamborinyoka is the presidential spokesperson and Director of Communications in the MDC-T. He writes this in his official capacity.